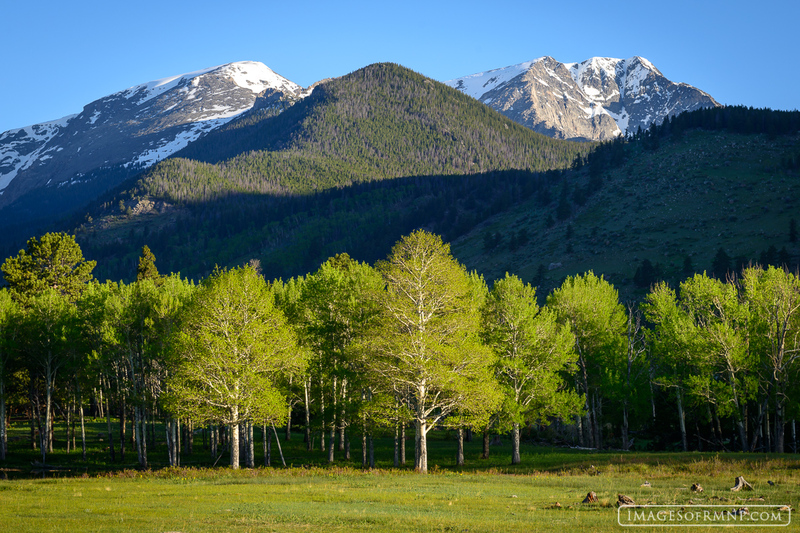 It was another spectacular June morning in Rocky Mountain National Park. the aspen in Horseshoe Park were a fresh vibrant green while high above Chiquita and Ypsilon still held on to winter snow. Nearby elk were playing in the field and wild turkeys could be heard gobbling at this beautiful spring day. Photo © copyright by Erik Stensland.